Are you tired of watching everyone else look great in a bikini? Or put on a pair of jeans and had the muffin top look? 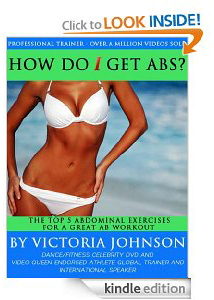 “How Do I Get Abs” Is the Answer to one of the most asked questions on the World Wide Web. Transforming Your Body and Restructuring Your Shape With Proper Technique is an Art. Your Body Is The Canvas. The exercises are foundational and functional for the body and must be practiced with awareness and intention mentally as well as physically. The greatest testaments to my program include an endocrinologist’s wife who had tried everything to regain her health after having two beautiful children, a CFO who lost twenty pounds, got a slim waist which restructured her body and reinvented her life; a professional Women’s WNBA player who lost weight and increased her speed; a surgeon with a bad back who recovered her feminine confidence and got stronger; and a budding artist who lost ten pounds and looked fabulous for her album cover and her wedding! I have been teaching this method for over ten years with overwhelming results - only now have I created a book that defines the program in detail including unique targeted exercises that use breath control. My How Do I Get Abs book is not just about a flat stomach - it’s about the health and function of the whole person. Each exercise flows smoothly from one to the other and works deep inside the muscle to help you develop maximum results. When it comes to abdominals you can do crunches and sit-ups for days, but if you perform them incorrectly, you will overdevelop your hip flexors, and that could cause severe muscle imbalance. This is why form and technique are vital in your abdominal program. In addition to creating a great looking set of abs for the beach, you will become stronger and be able to initiate more stability as you walk, move, and engage in sports, fitness, fun and play. 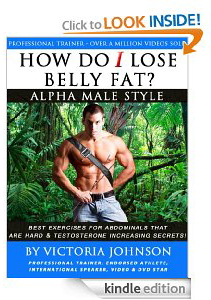 This book is about the art of shaping, sculpting and designing your dream body, beginning with your abdominal workout. *Every form of movement in everyday life, dance and every sport recognizes how important it is to have strong abdominals for maximum performance. This guide is perfect for you regardless of your fitness level lifestyle sport, or performance level. You must have good posture, a strong core and healthy digestion to function optimally. *I’ve been fat, thin, anorexic as well as a dancer, sprinter, hurdler and jumper who participated in many other forms of athletic motion all my life - I was born moving and when I was obese, eating! *Dancers in the performing arts field, professional athletes, naturopaths and chiropractors, not to mention the traditional fitness population, have embraced these training principles that are a culmination of my years of experience and research. MEMO: This is NOT your typical fitness book. This is a comprehensive Mind and Body Makeover Guide. *You can’t get your body to move until you have made up your mind to do so. *How Do I Get Abs is a complete instructional guide to each exercise with photo demonstration of each move. The art of sculpting your midsection begins with a the right ab workout. I made this option available for those of you who only want the Kindle version of the E-book itself. You will not get access to all the bonus items listed to the left, but will ONLY receive the Kindle Version of the E-book directly available through Amazon. The “Real Truths” to Getting the Abs of Your Dreams! My How Do I Get Abs Workout Program has worked for tens of thousands of people in countries worldwide. My program will work for you too! Take the first step towards a better body today. YOU ARE GOING TO BE SO GLAD YOU DID! I am so confident in that your legs will love the My How Do I Get Abs Workout Program that I offer a "no questions asked" total refund guarantee, there is no risk on your part. You have nothing to lose by at least trying the How Do I Get Abs Program so click on the link below to order today! This is Men’s Health Month! Get this life changing book for you, your son, brother, other brother, dad, grad, nephew and husband. It is the perfect gift that can change all your lives. “Her style of teaching and training is motivational and professional. She knows her stuff.” - Mike Dunleavy, NBA Coach of the Year, Former Portland Trailblazers and LA Clippers Coach, Now Retired and Golfing With Passion! *Holy crap! Had no idea when I started this program how bad I really was. I lost four belt sizes, dropped the stuff that was draining my energy and started moving up fast in my job. I had no idea that all this was connected to food! Stud level and I feel amazing! The focus of this paradigm shifting book is to help men of all ages; High School to Old School gain physical confidence, get a stronger self image, better hormonal health and a great six pack! You probably have no idea why you have to work so hard at life and getting in shape. The only way to win is to get to the truth of what's going on in your body and why your mind and body has been taken hostage by the man robbing, mind numbing, food modifying giants and money driven media. Just wait until you read about what they are doing! Have you been softened up by chick flicks, sensitivity girls’ stuff and estrogen-laden foods? Do your breasts sometimes ache or look just a little too feminine for your liking? Are your abs saggy and your belly gets in the way when you bend over to put on your shoes or have you resorted to wearing no-bending flip flops as your choice of daily shoe wear? This program is designed to give you the recipe for a stronger body, healthier lifestyle, powerful mindset and a formula for a tighter harder set of Abs while reclaiming your motivation, energy and masculine power.